The Men's Extrem 7000 Pro Jacket is a definitive modern mountaineering jacket with Gore-Tex Pro storm-level waterproof protection. Lightweight and tough, with a functional design, this jacket provides the ultimate defence in hostile conditions. As a mountaineer you'll want a performance waterproof jacket without compromise, right? This jacket is exactly that, offering the optimum balance of technical features, leading fabrics and cutting-edge design. The jacket is constructed with Gore-Tex Pro for unmatched performance in extreme environments, excellent moisture management and durability. Gore-Tex Micro Grid Backer technology improves internal abrasion and snag resistance, enhances breathability, decreases weight and allows the jacket to easily slide over mid layers. 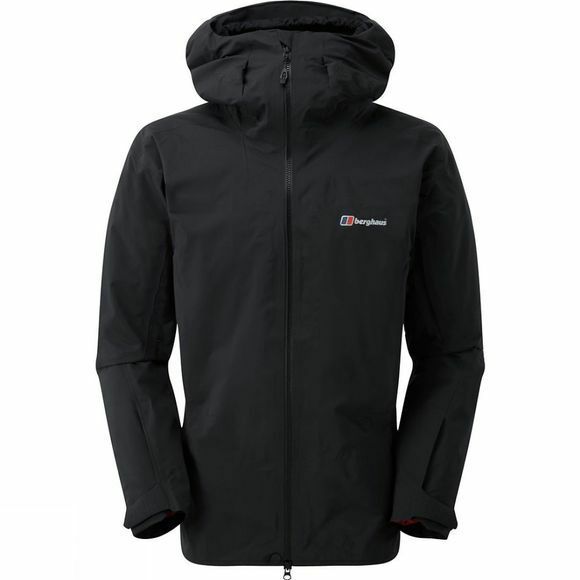 Highly engineered technical features are a standard and include a fully adjustable helmet-compatible hood for maximum extreme weather protection, large hand pockets with a three-dimensional panel construction that increases their volume, as well as and sharp tailoring and construction for flawless finishing and autonomous freedom of movement. Adjustable cuffs have easy-grab tabs that can be handled well with gloves and are shaped to provide extra comfort around wrist and prevent weather entry. No more severe weather excuses.